Students can avail the KIITEE Application Form 2018 through online mode. 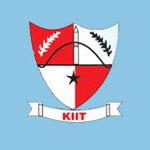 KIITEE is a university level entrance test also referred as Kalinga Institute of Industrial Technology Entrance Exam. KIITEE exam is a gateway to get admission in various UG, PG and other programmes offered by KIIT University. Through this exam, students will get admission in B.Tech, BBA, BCA, M.Tech, MCA, LLM and many other courses. Here we are providing details for KIITEE 2018 Application Form. The application form along with information bulletin will be provided through online mode only. Candidates can get the application form from the first week of December 2017. Application form will not be released through offline mode. Candidates can also download the application through the website. After twenty days of dispatch of the application, students can check the status of their application through the website. There will be no application fee charged to apply for the KIITEE examination. Candidates can fill and submit the application without paying any application fee. Qualifying Exam- Candidates must have qualified 12th examination in 2016 & 2017. Appearing- Students appearing in the 12th exams in 2018 are also eligible to apply. Subjects- Physics, Chemistry & Mathematics subjects are compulsory in the qualifying exam. Age Limit- Candidates must have born on or after 1st July 1997. Percentage- Students should have at least 60% marks in the PCM subjects. Percentage- Students should have at least 45% marks in the qualifying exam. Age Limit- Candidates age should not be more than 21 years as on 1st July 2018. GATE Aspirants: Candidates having GATE score 400 or above does not required to appear in the examination. Visit the official website of KIITEE 2017 (link will be provided above). Click on the link related to “Apply Online” on the website. Select the particular course you are applying for and click on “Submit” button. Read all the instructions carefully and click on “Apply Online”. Candidates are suggest to fill the application form as per the instructions given in the website. Fill all the details in the application form like personal, centre options, qualification, address and other required details. Candidates have to upload the scanned images of passport size colored photograph, signature and 10th class mark sheet/board certificate. The image should be scanned in JPG format. Check all the filled details and images carefully before submitting the application. Candidates are advised to submit the printed application before the last date. Take printout of the filled in application form and submit it in person or through speed post, registered post or courier to the address mentioned above. Question: When will KIITEE Application Form 2018 be released? Question: Can I get KIITEE 2018 Application Form through offline mode? Question: How much application I have to pay for Application Form? Question: Which documents I have to upload in the Application Form? Question: How can I know that my application form is submitted successfully or not? Question: Is it necessary to submit the application in person? Can I submit the application by post? Question: In which address I have to send the completed application form? Question: Can I get admission in B.Tech course through KIITEE examination? For any other queries about KIITEE Application Form 2018, you may leave your queries below in the comment box.